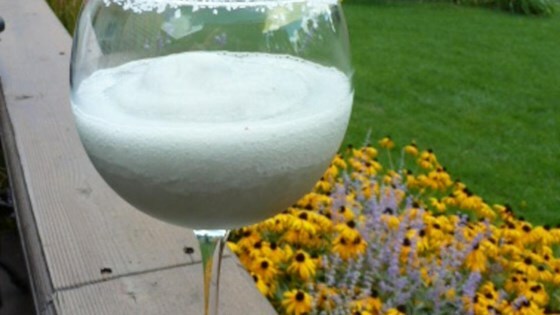 "Similar recipe to the margaritas we drank in Montreal in the old port. So delicious!" Blend tequila, triple sec, lime juice, honey, and ice in a blender until smooth. EXCELLENT! DONT cheap out..use REAL LIMES! Will make all the difference!!!!! Used regular sugar instead of honey, DELISH! SIMPLE! QUICK!!!!!!!!!!!!! One of the best margaritas I've had in a long time. I usually just follow the recipe, but I didn't have triple sec. For some reason I decided to use sprite and it was delicious! 1/3 cup Lime juice instead of 1/4 cup; and 2 Tbs Sugar instead of honey.